Life Insurance Approval with Atrial Flutter Issues? We can help you! Have you been declined for life insurance due to Atrial Flutter? Can I Qualify for Life Insurance if I have Atrial Flutter? Yes, most individuals with Atrial Flutter will be able to qualify for traditional life insurance, the type of insurance which requires a medical exam. Best Case Scenario – Healthy individuals with Atrial Flutter, who do not present any signs and symptoms of chest pain or shortness of breath, and have normal ECG tests may get a “Mild Substandard” rating. Click here for quote at “Mild Substandard”. Moderate Case – Those individuals with diagnosed Atrial Flutter that have been detected early and been given preventive treatment with antiarrhythmic drugs may qualify for “Medium Substandard” rating. Provided, however, that symptoms of difficulty of breathing and chest pain are controlled if not totally eliminated. Click here for a quote at “Medium Substandard”. Severe Case – A severe case would be Atrial Flutter that is uncontrolled by medication and with diagnosed medical complications such as heart disease or hypertension. The best approval that may be obtained is at a “Severe Substandard” rating, but complicated cases may get a decline. Click here for a quote at “Severe Substandard”. How many years have you been diagnosed with Atrial Flutter? Atrial Flutter is a progressive condition that if not controlled well over time may lead to serious complications. Longevity of the condition needs a thorough medical evaluation before a rating can be given. Symptoms of recent chest pain, palpitations or shortness of breath may be flare signs that may get you a “Medium Substandard” or “Severe Substandard” rating. The need for medications for Atrial Flutter may either be a good or a bad scenario. It is good if the drug shows control of the symptoms; these cases may get a “Medium Substandard”. If medications, however, are unable to manage the symptoms and there are obvious complications to the heart, it may get you a “Severe Substandard” rating or in worst cases a decline. Your doctor will be the best resource person to determine your actual condition, and whose medical evaluation will be used to determine the appropriate rating. Recent laboratory and diagnostic tests such as ECG or 2D echocardiogram are the best markers to assess your heart condition. Atrial Flutter (AFL) is also known as macroreentrant atrial tachycardias. It is a condition described by an abnormal heart rhythm due to disorders of the atrial myocardium. One of the earliest symptoms observed is tachycardia (heart rate over 100 beats per minute) or palpitations. Atrial Flutter is commonly observed in individuals with heart problems like coronary artery disease (CAD), cardiomyopathy, hypertension or diabetes. Other symptoms include chest pain, shortness of breath or difficulty of breathing, nervousness, dizziness and feeling of impending doom. 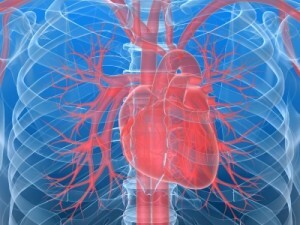 Atrial Flutter may develop even in a normal heart and progresses within months or years.